Nestled between Mexico's Yucatan Peninsula, Guatemala and the Caribbean coast, Belize is consistently ranked one of the top ten best-selling adventure travel destinations in the world and is a favorite destination for travelers who enjoy water sports, adventure, and relaxation. Belize has much to offer travelers of all ages, from the very young and eager for adventures to those ready to retire and relax, and Camino Del Rio is an ideal home base for those who want to explore the country. Settle into our jungle paradise then set out to discover the country for yourself. 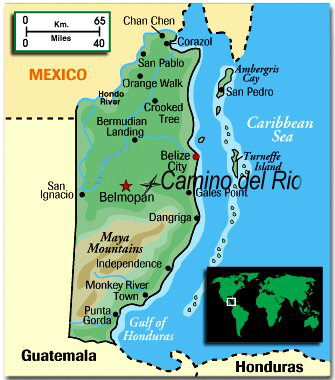 For more information on Belize, click here.